It is with great pleasure that award winning and published photographers Birgit Krippner and Harald Claessen announce their first New York photo workshop. Over the years, we have been approached by so many people asking us both to hold a workshop in New York. Well finally, following the success of our workshop in Tokyo and Trans Siberian Adventure, we can confirm a workshop in New York beginning 6 October. Birgit Krippner having lived in New York for eight years, and continuing to visit regularly since relocating to New Zealand, has a deep knowledge of the City. 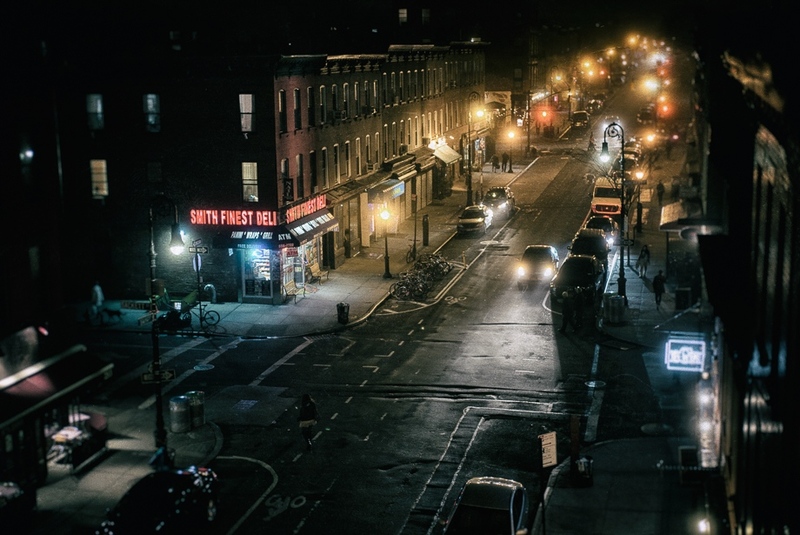 She loves to explore with her camera the evolving and dynamic communities in Brooklyn - which are really the heart of her New York and (fortunately) are often overlooked by tourists. One of this workshop’s highlights and points of difference will be having participants look beyond Manhattan and discover some of these authentic New York communities themselves. One day will be spent in Coney Island. This is where Harald spent a significant amount of time in 2016. Subsequently, his Coney Island project got published in acclaimed Burn Magazine. The aim of the workshop for Birgit and Harald is to share their unique views and experiences so that each participant is able to find their own distinctive voice for telling stories through their photographs. Participants will be on assignment for a significant portion of the course, with the emphasis on learning by doing and thereby getting maximum benefit out of their time with Harald and Birgit. Whilst the course is intended to be challenging and to make maximum use of the time, the aim is to create a positive and social environment which supports creativity and risk taking. The final day of the workshop will provide participants with an opportunity to present their favorite images captured during the course. TOKYO IN COLOURS || MAY 2017, by Andreas G. Rutsch (Germany)"An intense and amazing week has finally come to an end. Having never been to this magical city before I explored it a few days on my own before joining Birgit and Harald's workshop. Starting from our apartment in Shinjuku-Ku we ventured out, met great people, enjoyed hot and cold Japanese food and experienced the vibrant contrasts of Tokyo life. I wanted to challenge myself to a different level of photography and got truly inspired by these two wonderful photographers . . . and shot for a long time in colour again ! Tokyo - I will be back and Birgit and Harald hope to see you soon ! You are the best!" "The journey on the Trans Siberian Railway, traveling 6,000 miles through seven time zones between Vladivostok and Moscow, was a photography experience I will never forget. Stopping along the way in small villages and cities to visit with everyday Russian people, we discovered the hearts and minds of many Russians as they reached out in friendship, curiosity, and hospitality and as we shared feelings of family, work and patriotism.Traveling second and third class in the train was an authentic Russian experience. We mixed our tea, coffee, soup, and oatmeal with the hot water supplied in each car, made our beds with the clean white sheets given to us, fell asleep to the sound of the wheels on the tracks, and used the single bathroom that we shared with 52 other people. I loved it (well, maybe not the bathroom part).Harald and Birgit were organized, yet flexible in our schedules, leaving room for staying longer in places that interested us most. They, along with Galina, our Russian translator, managed all the train tickets and hotel reservations, so all I had to do was follow along and take photographs! Besides that, they were casual and fun to be with, while also giving me some tips on photography. I would take this journey again and recommend it to anyone who wants to go on a very special, unique photographic experience."